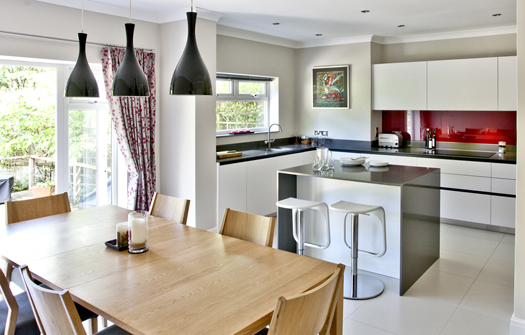 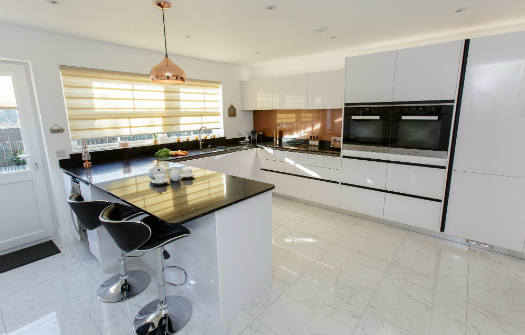 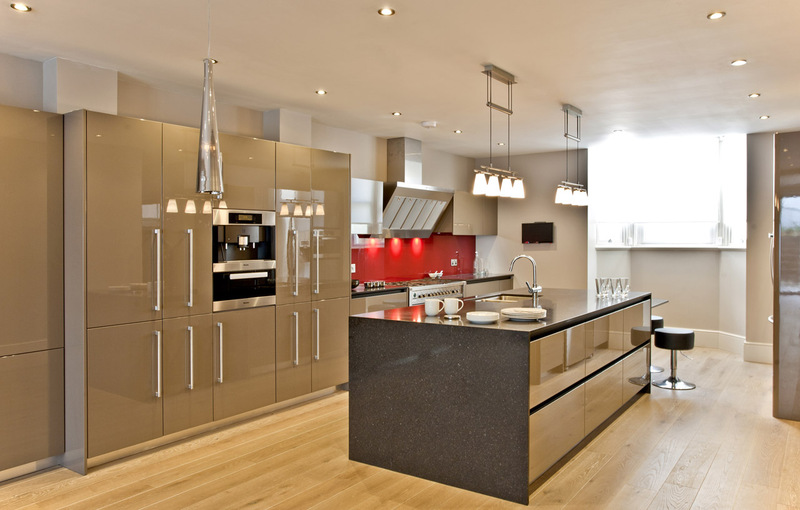 The stylish ambience of this modern kitchen can be seen at every turn. 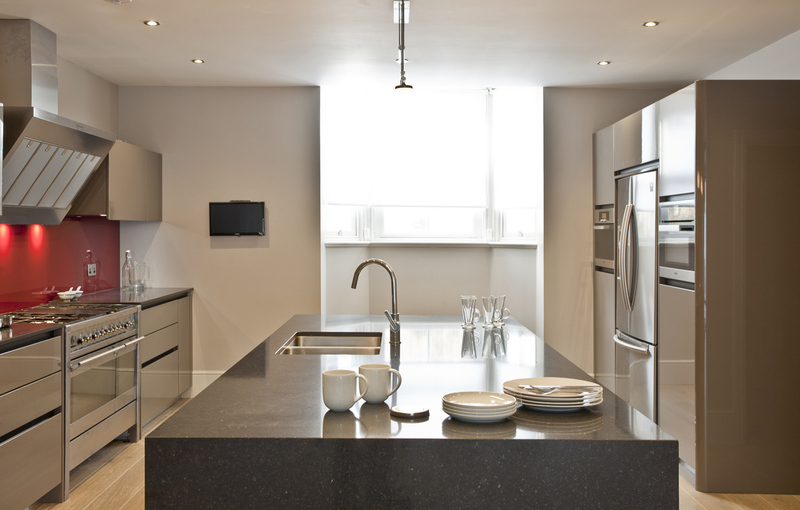 We introduced light to this semi-basement kitchen through reflective surfaces, including Clay gloss units, a stainless steel range cooker and an American fridge. 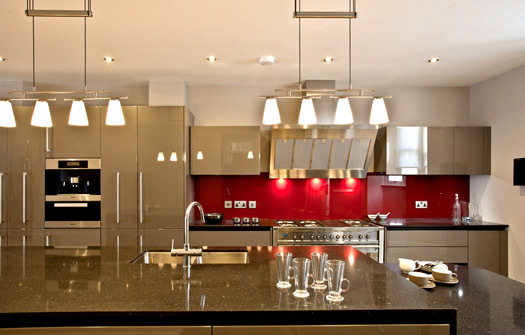 To complement this, we used a warm tone for the worktops to bring an energy to this family kitchen. 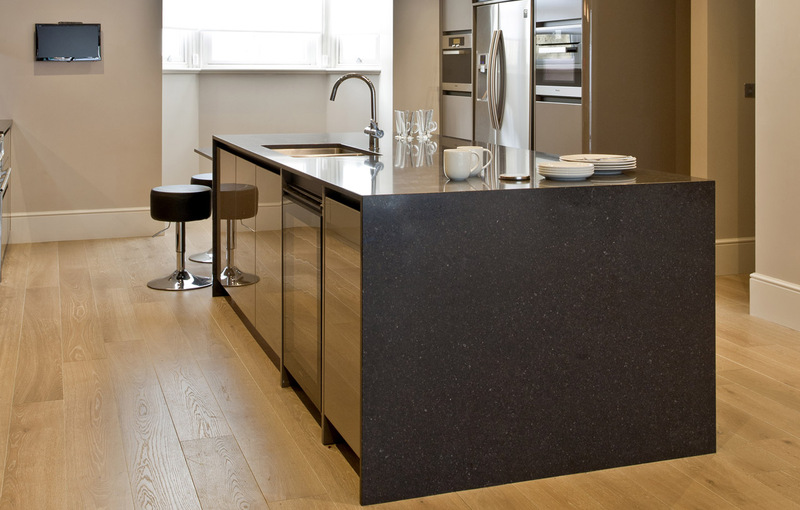 The clever mix of handless and handled units, along with a mix of integrated and freestanding appliances, gives the best of both worlds in a single harmonious design. 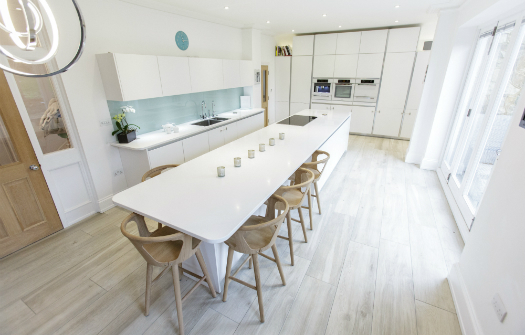 While we included bright lighting throughout, different types of lighting can be used to alter the ambience of the room through designer pendant lighting, LED ceiling lights and under-cupboard lighting. The deep red splashback adds the ‘cherry on the cake’.